(Tucson, AZ, Feb. 4, 2013) Long Realty is pleased to announce that Sue Brooks has joined their Foothills Branch Office. “My move to Long Realty was for a combination of reasons – their Tucson community focus is important to me (having owned a small business in Tucson for many years). They have a strong local presence as well as national strengths, as a Berkshire Hathaway Affiliate, that allow me to provide my clients with a wealth of resources to ensure their real estate success. Long Realty leads the industry in its technology and its focus on their REALTORS is unparalleled. Exactly what I need!” said Brooks. "Sue Brooks is a dedicated professional who has been very successful in her nearly 5 years as a REALTOR®," said Laura Mance, Foothills Office Branch Manager. "She has a proven track record and her wide-range of skills and abilities will be a great addition to the Long Realty team." Coming from a sales and marketing background, as the owner of Marathon Marketing (which represented the Tucson Conquistadores, Boys & Girls Club and many others), real estate was a natural transition. Sue holds an ABR designation (Accredited Buyer's Representative) and also SFR (Short Sale & Foreclosure Resource). Based on her performance and outstanding achievement in 2012, Sue Brooks will join the 1926 Circle of Excellence. This places her among the top professionals in the real estate in industry. 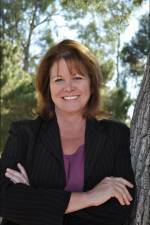 Share the post "Long Realty Welcomes Sue Brooks"
This entry was posted in News Clippings, Uncategorized and tagged ABR, Accredited Buyers Representative, arizona, az, Berkshire Hathaway affiliate, Circle of Excellence, Foothills Office, laura mance, Long Realty Company, marathon marketing, Real Estate, REALTOR, SFR, Sue Brooks, tucson. Bookmark the permalink. Is it worth using a buyers agent when purchasing a property? What kind of value can I expect?